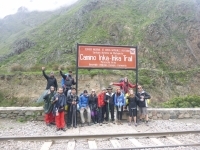 I just finished my 4 days Inca Trail and despite the pain on my legs, the mind and the heart are full of amazing landscapes, adventurous experiences and nice people. 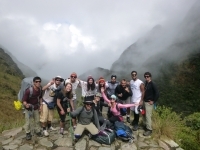 Inca Trail Reservations allowed me to have a great exciting and safe experience making me feel like an explorer. Ótima agência, ótimo condutor, muito bem organizado, sem comentários os carregadores. Apresentação da trilha, das flores, árvores, dos caminhos e dós condutores, formação de tdo. Comida muito boa, saborosa, café da manhã muito bom e jantares maravilhosos, super atenciosos, trabalho em grupo. 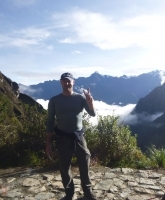 I traveled to Machu Picchu just by train, I arrived to the Inca city, and waited for the guide half an hour. 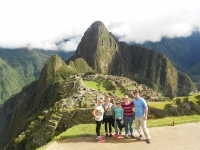 Our guide explained a lot about the city and Inca culture. 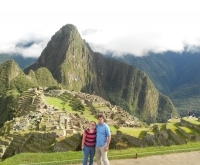 The scenery was amazing, lots of great views and pictures of the well preserved buildings, terraces, mountains, temples, rivers and Huayna Picchu. And one more guys ! Wow, what an experience ! 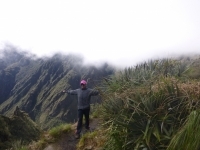 Lots of trekking, steep steps, tonnes of yummy food, cold nights and always "And one more, guys" snippet of info on Inca culture from our excellent guide, Americo. Absolutely amazing experience :) Our tour guide, Lizandro, was so patient, informative and a super star from start to finish. The rain didn't ruin the experience one bit. We were prepared with ponchos but even if we didn't have them, Lizandro had spare for everyone. This trip was very good. There were some problems in the country, but the company was able to handle it and my trip was not canceled. My tour guide was very friendly and he did not rush me. He was very smart. I would go with this group. Beautiful tour. Worn out after doing many many stairs. Learned a lot from our guide and have a much better understanding of the culture. We were able to go at a comfortable pace and were not rushed. Fantastic view of the ruins. Had a great time with our group and were really able to enjoy each other company. 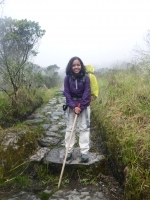 Great trek, tiring but a great time and such beautiful scenery. 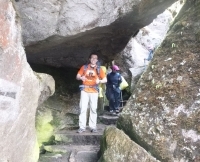 Fantastic guide too, Lizandro. 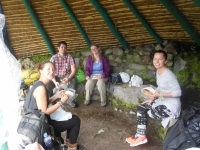 He was very knowledgeable and gave us lots of information and history about the Incas and the surrounding agriculture. I really enjoyed all aspects of this tour. The guides were great. They were professional and knowledgeable, as well as affable and engaging which helped make for a pleasant group atmosphere. The food was superb - it's actually a bit of a mystery how the chef whipped up such delectable meals considering the circumstances. è stata una bellissima esperienza dura ma stupenda!volevo ringraziare le Nostre guide Carlos e Rony per le loro spiegazioni semplici e precise e per la loro disponibilita e simpatia a rispondere ad ogni nostra richiesta,ma soprattutto volevo ringraziare I portatori,chef e tutto lo staff Che ci ha accompagnato in quest'avventura! !il cibo e stato tutto buonissimo e molto variato stati.